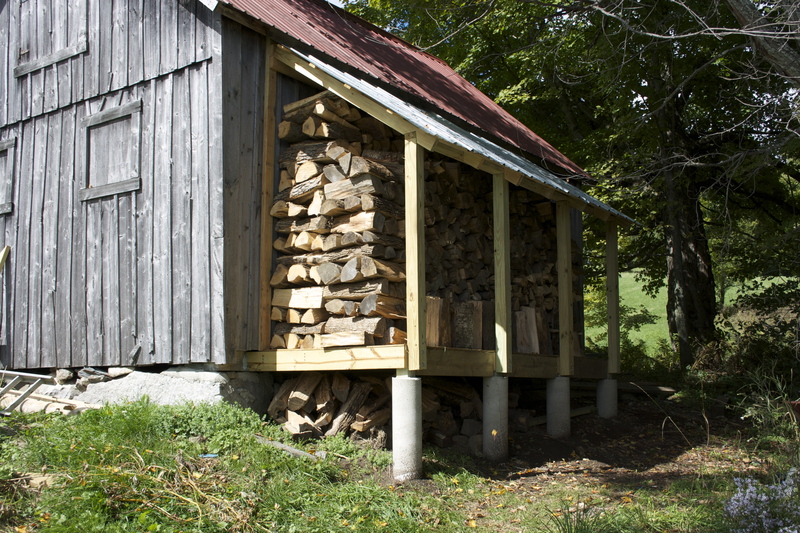 It’s mid-summer––a hot summer nationwide––so here in Vermont our thoughts turn to . . . snow. As a local contractor, Fred, put it to me yesterday: “The white stuff will be flying before you know it.” True. Edith and I know the rhythm of the seasons here well enough already that Fred’s comment doesn’t surprise us. 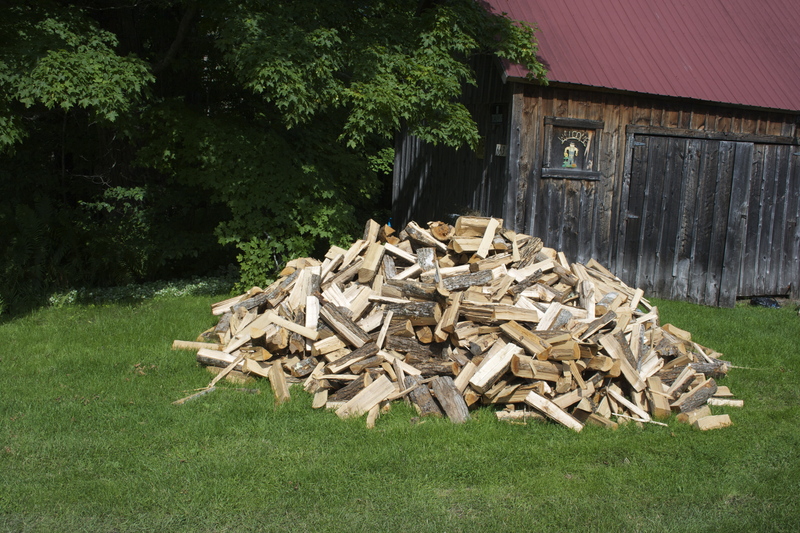 We’ve already ordered and received two cords of firewood; we’ve stacked the split logs in our woodshed and garage; and we’ll soon purchase a ton of pellets (fifty forty-pound bags) to stockpile for the pellet stove. So, yes, we know that snow is in our future. The first snowfall last autumn took place in late September. Over the next few months, one thread of what I’m weaving in this blog will be spun from snow. This thread will be stories and comments about my life-long and often complex relationship with those strange, intricate crystals. My delight in snow. My fascination with snow. My longing for snow. My occasional dread of snow. My infrequent but sometimes intense loathing of snow. A “love-hate relationship”? What a gross oversimplification, that phrase. For me, it’s far more . . . complicated. So, first off, a tale not about winter in Vermont but, rather, about springtime in the Rockies. In late May of 2000 I traveled to my home state, Colorado, to visit friends and to participate in several literacy-promotion events at public schools in Denver. I also took advantage of this trip to go hiking in the Rockies. I had enjoyed this pastime since early boyhood; I had become an avid camper and mountaineer during my teens; and I had continued to hike and climb in many parts of North and South America during the decades since then. Moving to the Northeast, getting married, and raising a family had limited my opportunities for the outdoor adventures I had pursued with great frequency earlier. All the better, then, to return to my old stomping grounds periodically, as I could during this Colorado trip. That May, once I had finished my school visits, I headed up to the Breckenridge area for a solo climb. I had targeted Quandary Peak. 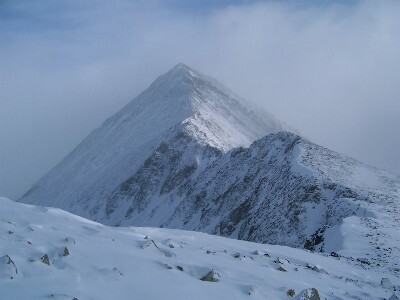 This mountain is a Fourteener––one of the fifty-four mountains in Colorado with an altitude of 14,000 feet or higher––and, like many in that class of peaks, Quandary is tall but not a technically difficult climb. It’s essentially just a very large pile of tundra-covered granite. A successful ascent demands little more than good legs, good lungs, and some degree of patience. The weather is the only other significant variable. Winter in the Rocky Mountains is often harsh; summer is usually pleasant, even beautiful, but can present rapid temperature fluctuations and violent thunderstorms. 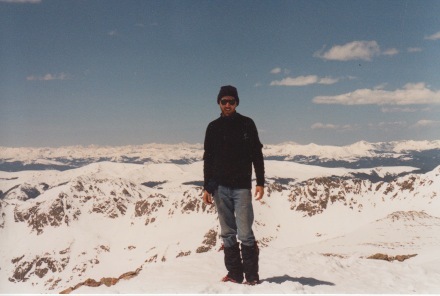 I had climbed Quandary twice before, as well as dozens of other peaks in Colorado, in each of several seasons. The only challenge I expected this time around was the snowpack. May is still early spring in the Rockies, and much or most of the winter snowpack wouldn’t have melted yet. It’s not uncommon for ten, fifteen, or even twenty feet of snow to pile up at higher elevations in the Rockies between September and May, and the accumulation can linger well into the summer months. On approaching Quandary, I saw that the peak was still heavily cloaked in white. I assumed, however, that my early start would prevent any major problems during the climb. This assumption proved to be accurate. I parked my rental car at the base of the mountain, slogged my way upward, and reached the summit without difficulty about two hours later. Except for three young men present—undergraduates attending the Colorado School of Mines—I had the mountain to myself. The views were splendid from the top: a three hundred sixty-degree panorama of snow-capped peaks extending to a horizon at least a hundred miles away. The college guys asked if I would take a snapshot of them, which I did. They returned the favor with my own camera. I still have the photo of myself posing up there, clearly content and comfortable as I stood with the precipice a few feet behind me, the temperature so warm by ten a.m. that I had stripped down to jeans and turtleneck. After chatting with me for twenty or thirty minutes, the students then left the summit by plunging down the steep south face of the mountain, a technique called the standing glissade––essentially skiing without skis down the snowy slope. I had used this technique myself on many mountains. It’s a quick way to descend from a peak under certain conditions; used judiciously, it’s safer than descending more slowly. The main safety variable comes from having an ice axe at hand to use as an “arrest” device if the slide gets out of control. I had considered this exit strategy myself on Quandary. Unfortunately, I hadn’t brought my own ice axe with me to Colorado, nor had I been able to obtain one in Denver before setting out on my little expedition, so I’d known early on that I couldn’t risk a glissade off the mountain. I would need to retrace my steps instead. The early phase of this retreat went well. I simply followed my own path along the dazzling white ridge of the mountain; I worked my way down Quandary’s ramp-like slope; and, predictably, I made faster progress than during my ascent. Soon I was almost two-thirds of the way to the mountain’s base. So far, so good. The effort was minimal, and the sixty-degree air temperature felt wonderful. Unfortunately, that warmth soon became a problem. During the hours of my ascent and my unexpected hangout time with the college students, the snowpack had softened. What had been as hard as concrete now grew mushy. Worse than mushy: slushy. I soon found myself ankle-deep in snow as soft and wet as a Sno Cone. Even so, I didn’t feel concerned. My boots might get wet, I noted, but under these conditions––warm weather and a short hike––there would be no risk of frostbite. I would surely reach the car in an hour or so. I didn’t. The farther I descended, the more I floundered. Soon I was knee-deep in snow. Sometimes I sank even deeper––up to my hips, my waist, my chest. The situation grew alarming. I found that making any progress at all was awkward, laborious, and often counterproductive. Sometimes I would slog just a few steps, then bog down again. I started to wonder how deep I might go. If the snowpack were ten or fifteen feet deep, would I sink all the way to solid ground? Even if I sank only far enough that the surface was a foot or so over my head, what would happen to me? I had some snack items in my daypack––grain bars, chocolate––so I wouldn’t have to cope with hunger . . . at least for a while. I wouldn’t die of thirst with all that snow around me. I would be able to breathe, given the open air overhead. Staying warm would be another matter: I would surely be subject to rapid chilling down there in my private icebox. Hypothermia might well become a serious threat. As I made repeated attempts to wallow my way out of the snowy morass, and as I floundered time after time, digging a series of inadvertent foxholes, I started to see what I was facing. To be alone on that huge expanse now seemed far less appealing than it had just a short while ago. At one point, standing there up to my armpits and gazing out across the brilliant, almost metallic glare of Quandary Peak, I realized that I was the only warm thing present. Everything around me consisted of tiny bits of ice. I felt as if I’d been cast overboard into a sea of snow. A fifteen- or twenty-minute drive north of where I stood at that moment, tourists were no doubt lingering over lunch in the chic restaurants down in Breckenridge. Neither that town nor anything else of human origin was visible to me now; and if it had been, its proximity would have made no difference. I couldn’t see them. I couldn’t reach them. I may as well have been living in another country or even on another planet. What time was it, anyway? Late morning? Early afternoon? I glanced at my watch: eleven thirty. It occurred to me that if nothing else, I could probably solve my problem––my Quandary, so to speak––simply by standing there for a long time. The sun would traverse the sky and would eventually set beyond the western expanse of peaks I had admired from the summit. Night would fall. The temperature would drop. The slushy snow all around me would cool, congeal, and harden once again. Patience would allow me to escape: I could eventually climb out of my pit onto a surface of the same tarmac-hard consistency present earlier that morning. But how many hours would these changes require? Eight, ten, twelve? And as the snowpack solidified again, how low would my body temperature drop during half a day of standing there while waiting for my exit ramp to solidify? Although I now grasped the likelihood of an eventual exit, I grew more and more concerned about the risk of hypothermia as I contemplated a long wait in the snow. The abundance of snow. There’s a lot of snow in the world. And, as we all learned during childhood, no two flakes are alike. (Who, tell me, performed the comprehensive, flake-by-flake comparison of all snowfalls throughout the planet’s entire history, thus determining the truth of this standard assumption? That has never been revealed. Neither has the methodology necessary to complete that process.) In terms of Quandary Peak, which has a surface area of approximately eighteen square kilometers, an average depth of four meters of snowpack would add up to about 72,000 cubic meters of white stuff. 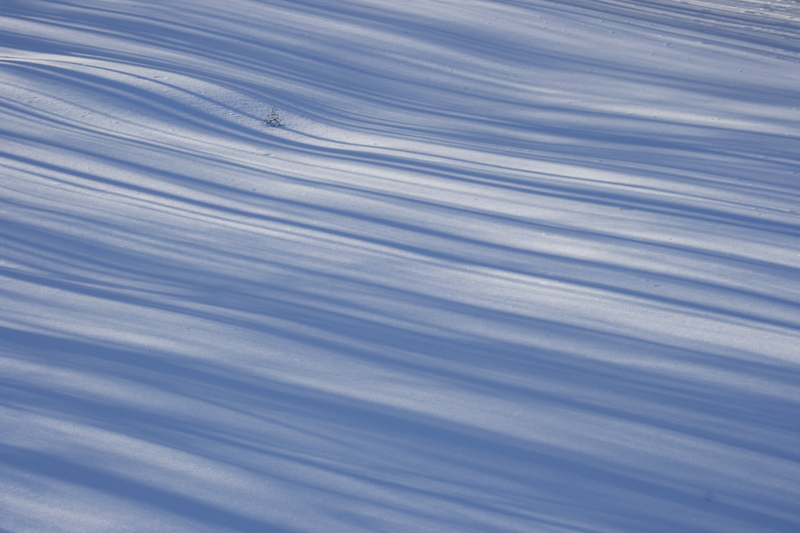 Small wonder that finding yourself embedded in the snowfield might leave you feeling stuck. The splendor of modern telecommunications. You have a cell phone your daypack, but attempting to use it quickly proves what you’ve feared: No Signal. The skiers and tourists in Breckenridge will be yakking away on their phones, but your chances of connecting with the Summit County 911 service, thus reaching the local backcountry rescue team, are basically zip. Various psychosocial aspects of getting lost in the wilderness. The only option that might have suddenly changed your situation would be the arrival of one or more off-season hikers as they trek up the mountainside. That possibility isn’t out of the question, but it doesn’t seem likely at this time of day. It’s the middle of the week, and most climbers start out in the morning anyway. You feel surprisingly ambivalent about the possibility of being “rescued.” If you were in extremis at that point—sinking deeper and deeper into the snow, perhaps, or suffering from early-stage hypothermia—your thoughts would be more straightforward. But to have a party of hikers come snowshoeing up the slope: you prefer to bide your time a while longer. The varieties of retrospective self-retribution. Nevertheless, you soon start kicking youself for the miscalculations that have landed you here. You’re an experienced hiker and mountaineer, but you’ve violated the first rule of back-country travel: never travel alone. The fact that you have hiked in this area for almost five decades and have climbed Quandary Peak in the past offer no excuse. You’re aware of the need to assess the conditions during each hike on their own terms. You’ve set aside years of experience and have forgotten how dramatically snowpack can change. The options for prospective marital freakout. If this dilemma continues much longer, your wife will be worried sick. Where are you, anyway? Why haven’t you called yet? Since she knows you’re on a backcountry hike, she’ll be wondering if you’ve suffered an accident on the mountain. Maybe a car wreck on the drive back to Denver? A heart attack, even? You’ve put her in a terrible position. Your inability to resolve this dilemma leads to genuine anxiety on her behalf . . . not to mention some degree of concern that once you make it back to civilization and phone home—assuming, of course, that you succeed in getting out—she will be not just relieved but also (and appropriately) angry. The big picture. You’re still up to your sternocleidomastoids in snow. As far as you can tell, you’re the only human being on the entire mountain. Nothing anywhere around you has any awareness of your presence, much less any interest in whether you live or die. Not since your foolish but non-calamitous solo trek in the north-central Peruvian Andes back in 1971—an experience now almost thirty years behind you, thus handily written off as youthful bravura—have you found yourself in such unforgiving isolation. To complicate matters, you are under-equipped and less than adequately attired for the conditions; you have only about two ounces of subcutaneous fat on your body, ergo no insulation at all; and you’re chilling rapidly. This Not a Good Situation. These and other thoughts, analyses, conjectures, worries, ruminations, fantasies, and speculative decision trees sprouted, grew, and branched throughout my mind for a long time. If the circumstances had deteriorated—if clouds had moved in, for instance, and rain had started falling—I would have shifted into yet more alarmist, even paranoid modes of thinking. Was the situation stable, thus justifying a measured response? Maybe so. I certainly wasn’t facing a crisis on the level of what Aron Ralston faced a few years later, when a loose boulder in Canyonlands National Park pinned his right arm to the canyon wall he was climbing, a dilemma that prompted him to conclude after several days of isolation that he could survive only by amputating his own arm as a first step in making his escape. Nothing in my situation bore any resemblance to that level of emergency. At some point during the tedious minutes of standing in my chilly foxhole, I examined my surroundings more closely. I confirmed that I was completely surrounded by snowpack. No outcroppings of granite had been exposed yet as the winter’s accumulations receded, which left me without any alternate surface to use as an exit ramp. I noticed patches of scrub oak, however, only a few dozen yards downhill from where I stood. These thickets are typical of the Colorado alpine ecosystem above timberline: essentially shrubs that can survive at higher altitudes than trees. The scrub oak wouldn’t offer any assistance to me as such, but they suggested that the snow might be shallower down there than I’d expected: branches of this species generally grow about five or six feet tall. Spotting them gave me hope. 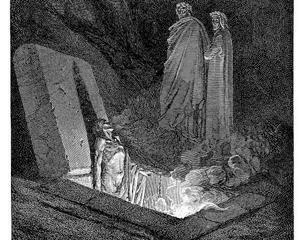 If I could just work my way down there, perhaps I could wallow further with less difficulty. I also noticed that the scrub oak bushes cast shadows onto the snow between them, which might create a less-soft surface for me to walk on. One other insight: my pack, which I had taken off and placed at the rim of my foxhole, rested there without sinking. It weighed just fifteen pounds or so—about a seventh of my body weight—so this wasn’t surprising. But seeing it there prompted me to ponder another aspect of the situation. Bantamweight though I may be, my hundred and fifteen pounds all bear down on the soles of my hiking boots. What if I could distribute my bulk more evenly? Would the snow support me? If I could lie on the surface and somehow move downhill, could I work my way over to the alpine shrubbery? This gambit would be the equivalent of what I’ve heard about people caught in quicksand: you ease onto your back, float, and slowly “swim” to safety. It seemed worth a try. What followed was a laborious, strenuous, ungainly, and often ridiculous effort to work my way downhill. Just climbing out of the foxhole took four or five minutes. My next steps after that weren’t auspicious: all I did was sink in again and climb out again, sink in and climb out again, over and over. I considered scrapping the whole effort and reverting to Plan A: waiting. Eventually, though, I managed to make the method work. I didn’t swim, exactly, so much as purposefully flounder. Motions appropriate to water or even quicksand, such as kicking and stroking, weren’t effective. Slithering only dug me in again. Anything that disturbed the surface of the snow tended to be counterproductive. Rolling, though: rolling had possibilities. My backpack proved to be a problem until I discovered that holding it over my head shifted its weight away from me and avoided impeding my motion. Progress was unpredictable and awkward. Sometimes I gained only a foot or two before sinking. Sometimes I gained a few yards. Soon my jeans and jacket were soaked—not a good development. But after a sustained push I realized that I would succeed in reaching the stand of scrub oak. Then surely my struggle would ease. That wasn’t entirely true, as the snow between the shrubs proved no more solid than all the rest. I could pull myself forward by grasping the branches, however, and doing so helped me progress from one patch to another. A long time later—what seemed at least three or four hours—I succeeded in working my way down to timberline. 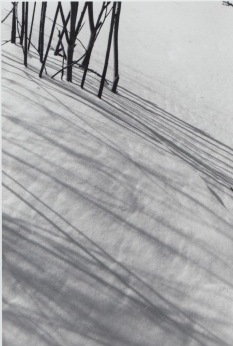 There, among the pines and spruces, I reached an expanse of snow that had been covered by the trees’ shadows through the morning and afternoon hours. The surface underfoot was soft but able to sustain my weight. What a luxury: to walk upright! To take steps without plunging into the snow! Soon I was able to proceed at a normal place. I descended through the forest. Moving fast now—both to keep warm and to make up for lost time—I strode off the mountain and, feeling a huge sense of relief, reached my car. I stowed my soaking-wet pack in the trunk, changed into dry clothes, and prepared to leave the base of Quandary Peak. At some point I checked the time: not quite 1 p.m. Despite my perception of having floundered for many hours on the mountain, only about ninety minutes had passed since I first bogged down in the snow. I returned to Breckenridge. I phoned Edith to tell her that I was fine despite the delay in calling. Since I’d now completed everything I’d set out to do during my week in Colorado, I drove back to Denver for my flight back to New Jersey. Later, on the plane, I considered my quandary on Quandary. Getting mired on the slope didn’t come close to a near-death experience; all the same, it was a frustrating, disturbing crisis that could have gotten much worse before it got any better. I love snow, but finding myself stuck in it up to my armpits gave me too much of a good thing. And the strangeness of looking out on the world—on the vast curve of the mountainside, on the entire upper reaches of Breckenridge Valley, on the mountain range beyond, and on the perfect, empty dome of the sky above—that was close to overwhelming. It’s inevitable in such a place at such a time to feel insignificant, almost non-existent. The inevitability of that sensation doesn’t make it any easier. What, then, could I make of the jolt this experience had given me? Where should I “file” it? 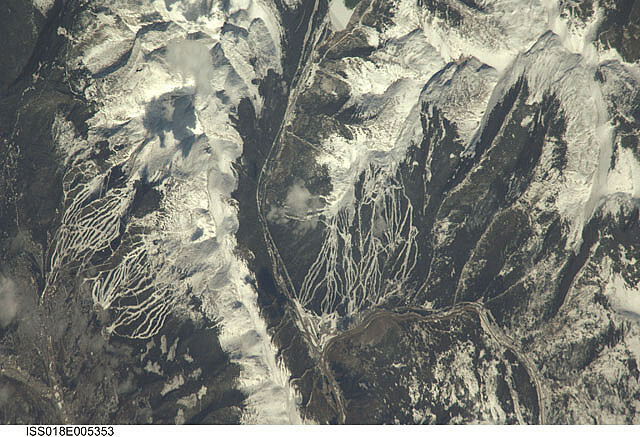 Viewed from space: Breckenridge and surrounding area, Summit County, Colorado. Source: NASA’s Marshall Space Flight Center. Wallace Stevens, “The Snow Man.” Harmonium. New York: Alfred P. Knopf, 1923. This entry was posted in Buddhism, Land and Wildlife, Literary "Musements" and Amusements by Ed @ Montemayor. Bookmark the permalink.